The European Union and eight OECD countries have agreed to reduce state aid for coal-fired power stations in developing countries. But many stations will be exempt from the cuts. EURACTIV France reports. 12 days from the start of the UN’s 21st Conference of the Parties on climate change (COP21) in Paris, a group of developed countries has taken a big step towards ending coal subsidies. 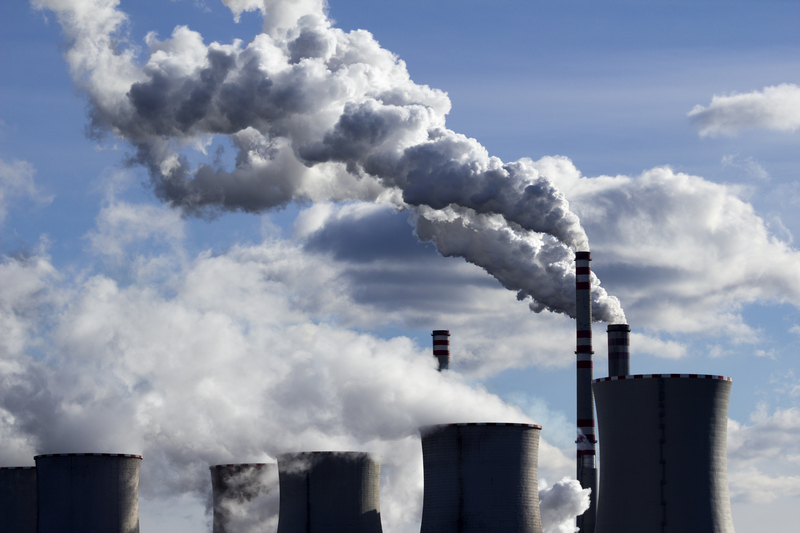 After two years of negotiations, Australia, Canada, Korea, Japan, New Zealand, Norway, the United States, Switzerland and the European Union have agreed to reduce the funding they provide for the construction of coal-fired power stations in developing countries. For the countries involved, it was important to announce this long-awaited decision before the Paris conference, at which the members of the United Nations will try to reach an ambitious agreement to limit climate change. Developed countries may be gradually cutting coal out of their own energy mixes, but many of them still fund coal-fired power stations in developing countries, where access to energy is often one of the major restraints on economic and societal development. “Bear in mind that the OECD’s export credit agencies provide almost half of all public subsidies for coal power abroad,” said Lucie Pinson from Friends of the Earth. Between 2007 and 2014, these export credit agencies subsidised international coal power projects to the tune of $4.3 billion per year, according to an NGO report. But the agreement, hammered out this Wednesday (18 November) despite the resistance of certain countries like South Korea and Australia, contains a barrage of exceptions. It is far from being a complete ban on coal subsidies. First among the exceptions is any coal-fired power station equipped with a carbon capture and storage (CCS) system, which traps CO2 emissions in order to reduce the power station’s impact on the climate. CCS technology is still experimental and very expensive, and is only used at a handful of sites in the world. Another loophole makes allowances for subsidies to small “subcritical” power stations in poor developing countries. These power stations have no efficiency-boosting systems. The agreement also excludes medium sized “supercritical” power stations in countries that suffer from energy precariousness, including many in sub-Saharan Africa. But these are more efficient than subcritical power stations. “Claiming that we have to maintain the subsidies to the least polluting power stations in order to prevent the construction of more polluting ones by non-OECD member countries is a scam,” said Pinson. She also criticised the decision to push the implementation of the agreement back to 2017. The decision by the OECD is still less ambitious than the announcement made by France in September. After months of hesitation, the French government finally confirmed its intention to call a definitive halt to its subsidising of coal-fired power stations in developing countries. Predictably, the French decision allows just one exception: power stations fitted with CCS technology. While coal accounts for only a small part of the French energy mix, the country still subsidises coal energy abroad through public guarantees from the French export credit agency, COFACE. The agency has guaranteed over €1.2 billion of coal projects since 2011, and was the fifth largest subsidiser of overseas coal energy in the OECD between 2007 and 2013. The 21st annual meeting of the international climate negotiations will take place in Paris in December 2015. This is particularly important because the UN member states must agree on a replacement for the Kyoto Protocol, the international framework for reducing CO2 emissions between 2008 and 2012. Significantly reducing CO2 emissions will require cuts to coal power generation, the energy source that produces the most greenhouse gases.